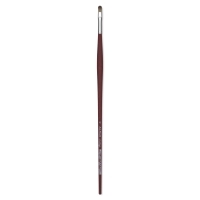 Da Vinci College Synthetic Brushes feature a strong synthetic fiber that is supple and easy to clean, with good elasticity. Designed for students ready to advance to the next level in painting, these are durable, reliable paintbrushes that give years of great performance at a nice price. 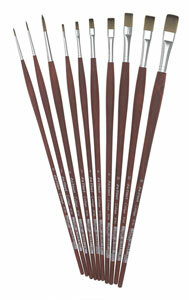 They feature rustproof ferrules and long handles. 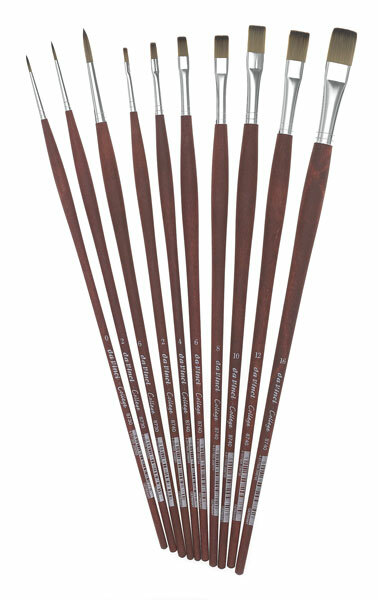 College, Set of 10 — Da Vinci College Series 8730 and 8740 synthetic brushes feature elastic fibers for those just starting out with oils and acrylics. 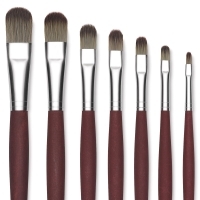 The set contains 10 brushes, including Series 8730 Rounds in size 0, 2, and 6, and Series 8740 Flats in size 2, 4, 6, 8, 10, 12, and 16.